Mold thrives in warm, damp, humid environments. Failure to pinpoint and address the source will only result in mold manifesting itself after clean-up has taken place. 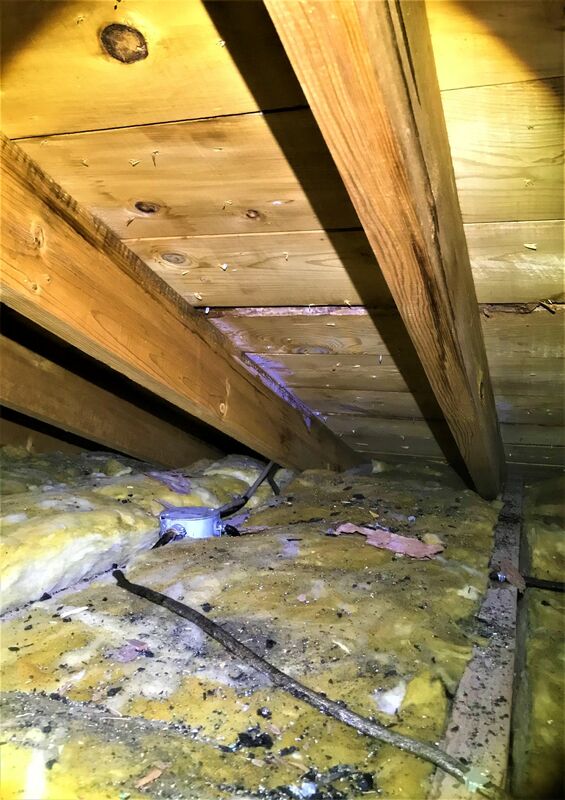 Left ignored, a moldy attic can result in a breakdown of your roof’s structural components and attic sheathing. Here are four common reasons attic mold growth occurs. Rafters, insulation, and sheathing with mold growth and discoloration are signals that the moisture source is a leaky roof. 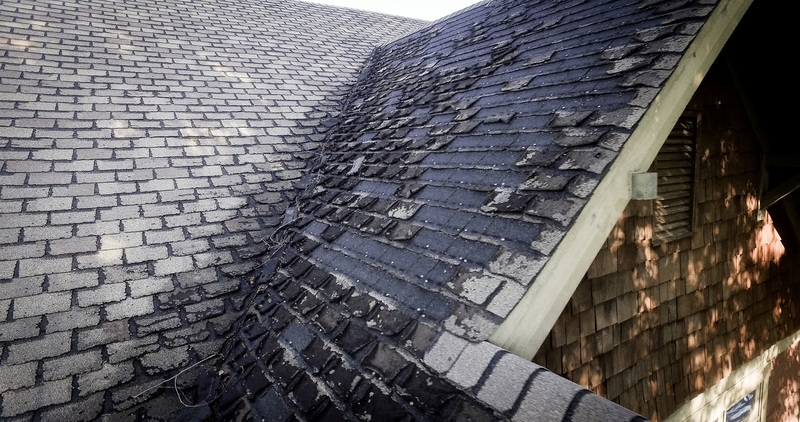 Improper or weakened flashing around valleys, chimneys, and skylights can allow for water penetration into a home’s attic. Ultimately, this will create mold. One of the biggest bath fan installation mistakes is having it vent into home’s attic instead of outdoors. This approach introduces an unnecessary amount of moist air into the space. When the warm, humid air comes in contact with the attic’s cold roof sheathing, condensation takes place. This leads to wet rafters and insulation, creating an environment for mold to thrive. Attic insulation projects should be entrusted to reliable professionals that have a working understanding of building envelopes. Opting for the wrong combination of insulation types or improper install will trap the moisture that’s risen from the home’s lower levels. With an inability to escape, the moisture will create an environment for mold to thrive. A common mistake insulation DIYers make is placing insulation in a home’s soffit vent. Doing so prevents the vents from allowing in outside air to regulate a home’s attic temperature, creating a scenario that raises the attic’s temperature, allowing ice dams to form. If ice dams cause water damage within the attic, it’s only a matter of time before insulation becomes saturated, allowing mold to grow. It’s vital that attic ventilation be balanced, allowing an equal amount of incoming and outgoing air. Utilizing multiple ventilation systems in tandem can also lead to the creation of mold because the vents can cause moist air to circulate instead of dispelling it. Unfortunately, out of sight does not mean out of mind when it comes to attic mold. Moldy insulation should be removed, not only because it means the insulation’s properties are compromised, but also because of the health hazards associated with it. Mold spores have the ability to circulate throughout your home. This can lead to respiratory infections, eye irritations, compromised immune systems, and an array of allergic reactions. "Lindus insulated our attic and basement. They came on time, communicated well and didn't leave a mess behind." - Leslie S.
"This is a stellar company to work with for home improvements. They helped us with a new roof, attic insulation, LeafGuard® gutter system and new siding. They were communicative, professional and a pleasure to work with throughout. I would definitely recommend this honorable and excellent company!" - Micki K.